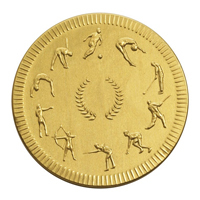 Heritage Chocolates is the UK’s leading quality chocolate coin and medallion manufacturers. 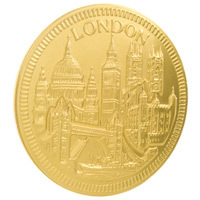 We combine the traditional coin minting skills of our sister company The Tower Mint to produce chocolate coins and medals that are perfect as gifts, to mark a special occasion, to use in sales and marketing promotions - or simply to enjoy! 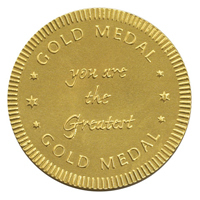 Choose from our standard range of designs or personalise your coins to use as a special gift or to use in a promotion. 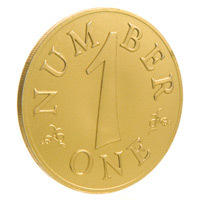 Our coins are available in three sizes: 127mm, 80mm, 32mm and with a choice of foil colours. We only use quality Belgian chocolate, containing a minimum 30% cocoa solids. Heritage Chocolates combines modern production methods with the traditional skills of our Belgian chocolatiers and we are the only company in the UK to offer such a one stop shop service. Our business is managed by experienced professionals committed to best practice, quality standards and customer satisfaction. That is why Heritage Chocolates has been able to maintain its outstanding reputation in the marketplace. 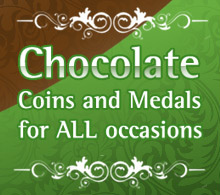 For more information on the Heritage range of chocolate coins and medals, please contact us.